Thank you for your order with iBrand Sports and supporting your local sports team. We work with your team to determine the method of delivery. Some organizations have us ship direct to you and others choose to distribute the orders at practice. Either way all orders are processed after the orders deadline. Therefore, our shipping dates don’t start until the posted date set on your team page. Please refer to your team page for the estimated shipping/delivery date. At iBrand Sports, we offer some of the fastest turnaround times in the industry. Our team stores typically deliver product within 2-3 weeks. Our delivery dates are posted on each individual team page. We make this process seamless for your and your customers. 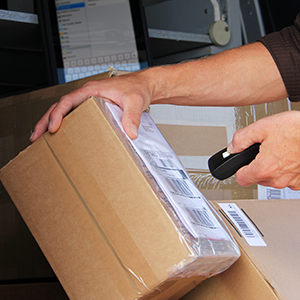 Shipping fees include handling and packing fees as well as postage costs. Shipping fees are a flat rate due to the nature of our business. Although occasionally multiple products can be placed in a single box a flat rate is charged based on the agreement between iBrand Sports and the hosted organization. We work with your team administrators to select a deadline. They set the delivery date for your products order. We post the orders deadline and estimated shipping date on the team page. All orders are shipped priority shipping so you will receive an email shipping notification along with tracking information once your order has shipped. Depending on your team’s location you will receive your order within 1 to 2 days of your shipping notification. We work with your team administrators to select a deadline. They set the delivery date for your products order. We post the orders deadline on the team page. All team orders are packaged individually with your order number and last name on the package for pick-up. Your team administrators will email you and advise you on where they will distribute the orders. Please make sure to bring your order email with you to pick-up your order. We work extremely hard to ensure we provide the highest quality apparel. We understand that mistakes happen and will work diligently to correct any issues that may arise through our process. All items are produced based on the orders we receive and we do not produce extra stock. Unfortunately, due to the custom nature of this offering we are unable to accept returns unless there is a defect in manufacturing. We encourage you to review size charts prior to placing your order.